THE NEXT GOVERNMENT YOU DIDN’T VOTE FOR? If you don’t like this Government you didn’t vote for, then brace yourself for the possible next one. If you think that the Tories governing Scotland with the Liberals is bad, what about the Tories governing Scotland with UKIP? There is a dramatic realignment of English politics going on just now and the outcome will be crucial to the next UK Government should Scotland opt to remain governed by Westminster. The current UK coalition is already three parties. There are the David Cameron loyalists (who are now in the minority), there are the already doomed Liberals and then there is the ‘continuity’ Conservative/UKIP faction. Only one of these three parties is on the ascendency. In preparation for the next election, agendas are being shaped and possible alliances are being forged. Nadine Dorries is the first Conservative MP to say that she would stand on a joint Conservative/UKIP ticket and influential backbenchers like Peter Bone and Jacob Rees Mogg actively talk of alliances with UKIP. Expect these discussions to intensify as sitting Tory MPs calculate the damage to their futures if they contest UKIP candidates in their own marginal constituencies. 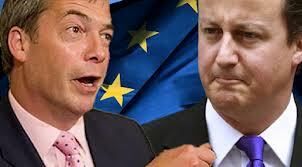 Already, ‘continuity’ Conservative/UKIP dominates the political debate in the House of Commons. Their agenda is now Westminster’s. Cameron loyalists, transfixed and powerless, have adopted a disastrous strategy of simultaneously calling them names and pandering to their insatiable appetite. Labour; stuck on about 35% in the UK polls, looks on helplessly, aware that they have to win seats in the shires to be the next Government, exactly where UKIP are hoovering up the votes. Meanwhile, in Scotland, Nigel Farage comes to Edinburgh to almost personally demonstrate that we’re two very different countries. Scotland will never vote UKIP because our values and political culture is so very different from what they propose and are essentially all about. Less than 1% voted for UKIP at the last test of national opinion in Scotland. They are a political irrelevance in Scotland but a major, powerful, influential force in England and UK politics and that is what matters in the Government we’re likely to get. Since the Scottish Parliament, Scotland and the rest of the UK have become two very different political cultures, yet we could be governed by a Government that is increasingly alien to us. I hope England does not go down the road of an increasingly insular and right wing agenda, but if that is what they want that is what they should have. We, meantime, deserve the Government we vote for. It is the very least that any self respecting nation should expect. This entry was posted in Uncategorized on May 27, 2013 by petewishart. Pete Wishart (Perth and North Perthshire) (SNP): In the few minutes available to me, I want to confine my remarks to amendment (b). When the history books are written and we come to the chapter that describes and explains the UK’s exit from the EU, this week will go down as an important and significant week. After this week, the UK’s departure from the EU becomes almost unstoppable. It is clear that the UK is on its way out. It will either be out on the basis of the salami-slicing favoured by the Prime Minister—let us renegotiate a new terms of entry, which will obviously be rejected by most of its European allies—or, more likely, it will be wrenched out following the yes/no referendum plan by the Government, in a sort of in-your-face Barroso gesture from the UK electorate. What we actually have is an irresistible momentum for the UK to be taken out of the EU. Of course, the EU was not even mentioned in the Queen’s Speech—that now appears to be an unfortunate oversight—but it is centre stage, because we are entering a new Session of Parliament, the UKIP session. It is the age of Farageism, a desperate creed characterised by an obsession with departure from the EU and with immigrants. It is an unpleasant, intolerant, neoliberal creed with a disdain and hearty contempt for minorities. That is what will underpin this Session of Parliament, because the Government know that UKIP will win the next European election. That is not my country and I do not want it. I want my country out of all that. My country is very different. The reason UKIP does not do well in Scotland, and the reason there is the lone panda of one Conservative Member in Parliament, is that that agenda simply does not chime with the collectivism and the social attitudes and values of Scotland. That is why UKIP got less than 1% of the vote in the most recent Scottish parliamentary elections. I am proud that my country is so different from the one we observe south of the border. I hope that England and the rest of the United Kingdom do not go down that road, but they are entitled to have the Government they vote for, just as my nation is entitled to the Government we vote for. There is now the real prospect of a party whose members the Prime Minister refers to as fruitcakes, loonies and closet racists having a share in the running of the United Kingdom. What will the Government do to ensure that does not happen? They have tried to name-call and disparage, but that has not really worked, given UKIP’s success in the local elections. They could try to buy UKIP off, but that would not work either. They are absolutely stuffed. My advice to the Government is that they had been doing all right and should have stuck with the hoodie-hugging and huskie-mushing new Conservatism. They simply could never out-UKIP UKIP, which is the master of European obsession and grievance. They should stick to their guns and ensure that they are different from UKIP. The Scottish people are observing two futures. In one future they remain shackled to the United Kingdom, which will become increasingly shackled to an intolerant, right-wing agenda. The hon. Member for Mid Bedfordshire (Nadine Dorries) has already said that she will have a joint UKIP-Conservative candidacy at the next election. I do not know how many more Conservative Members will adopt that stance. What we are seeing is a realignment of the right. All I have heard from the 1922 committee, which has not been very pleasant recently, with all the disagreements about Europe, is that there is a faultline running through the Government. The Scottish people have a choice: they could have that future, or they could have their own future, determined by them and based on their values. Kelvin Hopkins: The hon. Gentleman is making the case that Euroscepticism is an entirely right-wing view. In fact, across Europe the majority of Euroscepticism is on the left, among socialists, trade unionists and working-class people. 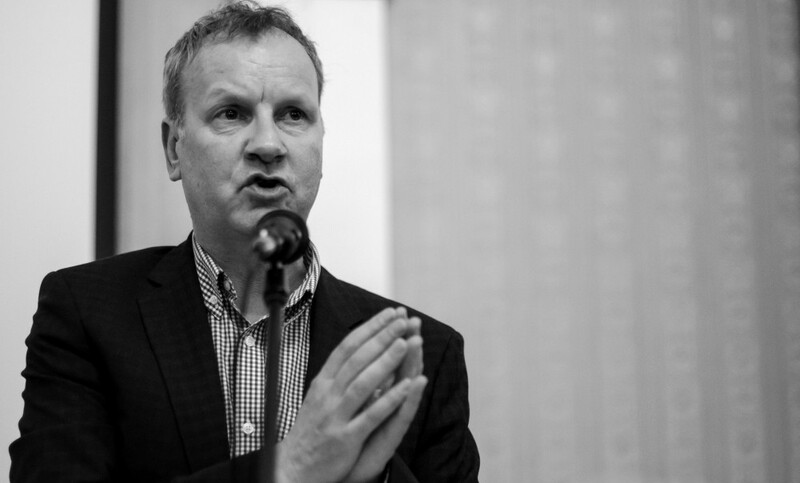 Pete Wishart: That might be true, but that is not how it is being demonstrated politically. What we have observed is a total realignment. There are two different countries, and one is emerging south of the border with increasing UKIP results. 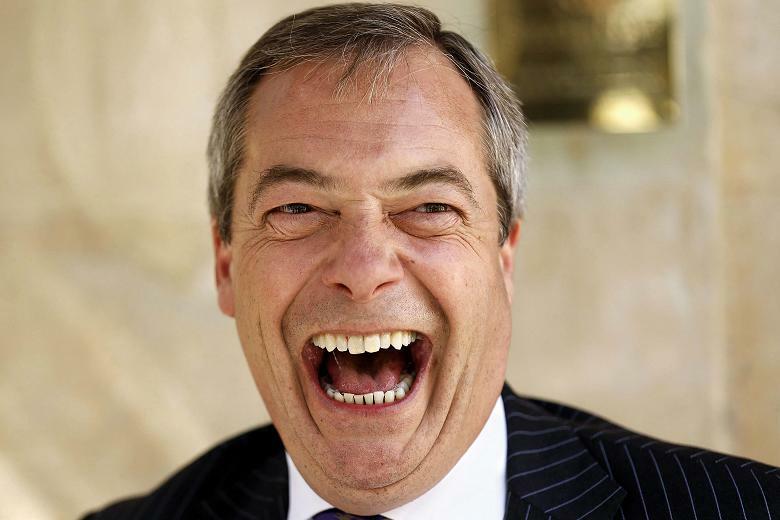 It is absolutely certain that UKIP will win the next European election, and Conservative Members should be very careful about all that. They are right to be wary, because it could deprive them of office. I do not know what will happen, but Scotland has a choice—thank goodness—to do something different. We can remain shackled to an increasingly right-wing United Kingdom, almost relaxed about its continuing decline, or we can decide to have a future of our own, a future determined by the Scottish people, based on our social values and the type of community we want to develop and grow. We can choose to be a consensual and helpful friend in Europe, rather than one that likes to criticise, is semi-detached, does not really enjoy being there and is on its way out. Thank goodness we have that choice. I know the type of future that my fellow countrymen and women will choose. They will opt to ensure that their future is in their hands. They will determine the type of Scotland they want: a Scotland standing proud in a coalition of nations around the world. That is the country I want and I am absolutely certain that that is what my fellow Scots will choose next year. This entry was posted in Uncategorized on May 15, 2013 by petewishart.